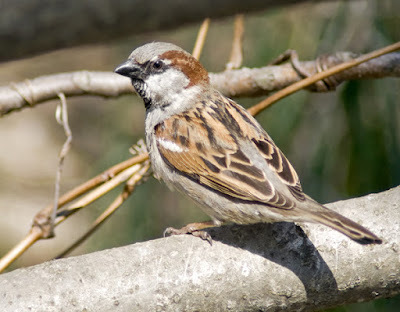 I love the sparrow too. There's something sweet and unassuming about the bird. Yet it's not too shy to keep away from humans. Such a lovely mix, isn't it? Rightly pointed out, Tulika. It is one of the few birds that seem totally comfortable with humans around. Hahaha, humorously put. My favorite would be Parrots, i just loved their color! I have never given a thought to what my fav bird is...hmm...I guess it would be the koel....with its charming sweet voice. :D Oh yes, Alok... parrots are beautiful. Princess, I haven't seen a koel, but have heard them so often here in Jaipur. Their song is so beautiful, it just makes you stop whatever you are doing and listen to them. I love pigeons. They have made our Ac as their abode. It is very interesting to see them making love. Even otherwise also they seem tg be very delicate. I also like your favorite sparrows.I find them early morning making all sorts of noises. Oh Usha Ma'am! Jaipur is full of pigeons! So is my building! We had nets put around our balcony. Cleaning was becoming a big problem! And the AC used to smell of pigeon poo in the monsoons!